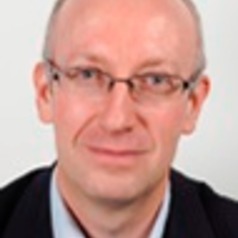 Henry Overman is Professor of Economic Geography in the Department of Geography and Environment at the London School of Economics and director of the What Works Centre for Local Economic Growth. He was formerly director of the Spatial Economics Research Centre. His current research interests include the causes and consequences of spatial disparities and the impact of urban and regional policy. His research has been published in leading economics journals (The Review of Economics Studies and The Quarterly Journal of Economics) and leading economic geography journals (Environment and Planning and Journal of Economic Geography). He continues to publish in journals from both disciplines as well as editing the inter-disciplinary Journal of Economic Geography. He has provided policy advice to, amongst others, the European Commission, Department for International Development, Department for Business Enterprise and Regulatory Reform, Department for Communities and Local Government and the Department for Transport. He is also affiliated with the Centre for Economic Performance and the Centre for Economic Policy Research.